"When others are present, we keep off the children" , were the words spoken by Sadguru Sai Baba of Shirdi. Experiences of a spiritual aspirant Chinna Kistan. Strange and inconceivable are ways of spiritual Masters or Sadguru and more so of Shirdi Sai Baba. This words were spoken to a spiritual aspirant named Chinna Kistna. Chinna Kistna had a keen interest and attraction towards spirituality right from his younger days, when most of the teens of his age are more interested in games and other social competitions. He used to sit and meditate on his chosen deity, Lord Vishnu, for long hours. Sitting in one asana (one of the many physical postures, shown in the yoga for better and easy meditation on divine). This went on for years. 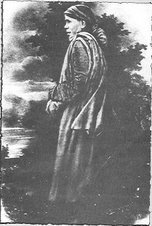 When he was in his twenty first year (about 1910), he had three successive dream visions in one night. The dream visions had a deep spiritual significance. These visions were there to guide him to his Spiritual guru, Shri Sai Baba of Shirdi. In the first dream vision he experienced that he was getting separated from his physical body, and before him was a divine form of lord Vishnu . The second dream vision was the same in nature. The difference was that, this time there was a stranger standing besides the form of Lord Vishnu. Lord Vishnu pointing towards the stranger said, "This Sai Baba of Shirdi is your man, you must resort to Him." Then there was a third dream vision. This time too he experienced he was moving out of his physical body. He was then drifted in air to some distant village he had never seen. He happened to see someone and inquired whether the village's name was Shirdi. The reply was in affirmation. So he put another question whether a holy man named Sai Baba lived there in Shirdi. This time the answer did not came in words. He was led to a mosque. 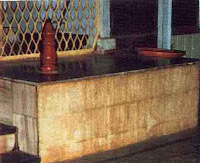 In the mosque Baba was sat, with his hands leaning on the wooden rail and his legs stretched out in front. Sai Baba looked on him and got up and said, "Do you take my darshan? I am your debtor. I must take your darshan." saying so, Baba reverently put his head on Chinna Kistna's feet. The dream vision ended here. 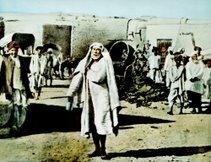 Here, i feel it should be noted that there many devotees who had not seen Shri Sai or seen Baba's picture, when Sai Baba had appeared in their dreams. Later on when they either saw Baba's picture or met him in Shirdi, they realized it was this holy man who appeared in their dream. Chinna Kistna had seen Sai Baba's picture before. But he was unaware of the most characteristic style of sitting in Masjid or Dwarkamai. This he saw in his dream vision. Chinna Kistna was soon on his way to Shirdi. The dream vision had an impact and he wanted to verify the dream. 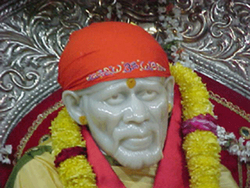 Was Sai Baba his spiritual Guru?, as the dream indicated, was the question he took within his mind. 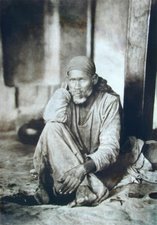 When he saw Shri Sai , he was not convinced and thought, should i worship a man? On the other hand Sai Baba far from welcoming him, with blunt and abrupt refusal, said what was going on in his mind, "What, do you worship a man?" Baba used this refusal in the beginning with many other devotees like Megha who were close to Him and remained close and devoted to Him. On the other hand many devotees like Kakasaheb Dixit and Nanasaheb Chandorkar were welcomed from the beginning. This again raise the question Can we understand Sai Baba's activities? This made Chinna Kistna much dissatisfied. 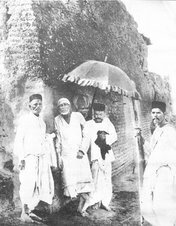 Here he was in Shirdi, as guided by his deity in dream vision, on whom he meditated for years. 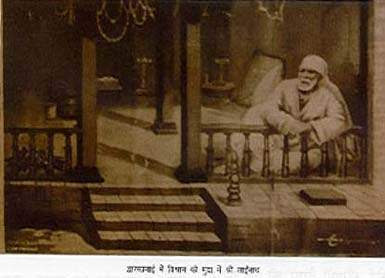 He had vision of Shirdi and Baba sitting in Dwarkamai. In heart he had this desire of a warm welcome from the holy man of Shirdi. Nothing happened according to what he desired. In the afternoon after the afternoon gathering (Darbar) in Dwarkamai, after everybody left the Dwarkamai, Sai Baba preferred solitude. None would enter Masjid mai or Dwarkamai in those afternoon hours. Few who tried were welcomed with abuses and even beating from Sai Baba. Some how Chinna Kistna was drawn towards Dwarkamai at these particular hours. As he approached the holy mother Dwarkamai Baba signaled him a welcome. The anger he showed on this action at this particular time was not there. Kistna Chinna approached Sai Baba and bowed to Him in reverence. Shri Sai hugged him with love (Bolo Sainath Maharaj Ki Jai) and said, " You are my child, When others are present we keep off the children. Other stories of Chinna Kistna will follow on this blog. The honor of the house is revealed by the dweller. What's The Meaning of "Om Sai Ram"? I hope one day before my death I can see HIM in my dreams. And about the dreams, many have this good luck. Others are too lucky who are devoted. The writer himself awaits Him in dreams and for having a darshan of His physical form. I had a dream in the childhood, when I did not know anything about Saibaba. Now, I am longing for him to come but I am not getting his darshan in the dreams. Pl. baba, come & bless me. I saw Sai baba's sitting once in my dream ... the samw way we see all statues.. just for seconds. i desir to see him again. 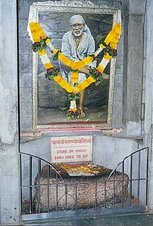 JAI SAI BABA. jai sai ram,i see sai baba in my dreams when im in great confusion.he answers to my problems.i love u sai baba.always be with me . Jai Sairam! 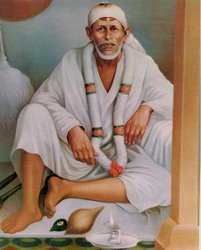 My another dream about Sai Deva is when I got to know about Him in 2004, and when i had made a huge garland of white flowers, and put it around His huge picture ( given to me by my husband, Sainath, when he knew how much I loved Him) which is the ever famous one where Sai sits on a stone in white clothes...:)))). The next night I dreamt that ...I saw again same picture of Sai, and He was soo sweetly smiling at me, and all of a sudden a garland of white flowers came and went around His neck!!! was so surprised, seeing my garland...i was thrilled seeing that, and my heart was beating so loud as if it would break out of my body...and then I saw Lord Venkateshwara, all in His glory, with that golden stand around Him...and He came in front of Sai, and again the same garland came and went around Lord Venkateshwara. I felt so happy, and shocked to see this God as after knowing Sai, I knew Sai was in all other Gods too...so my little heart was so thrilled to see this God too...and as i was surprised and seeing happily the scenes going back again and again, as if to tell me that both the Gods are one and the same! 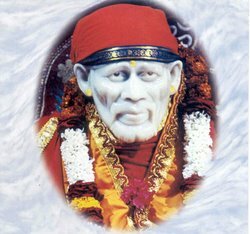 Love U SaiBaba always and always and for showing me in so many ways, where U really are!! !